In a meta-analysis criteria document for Metropolitan Planning Organizations (MPO) created by Philip Berke and David Godschalk, they provide a system of rating and review for regional strategic plans. 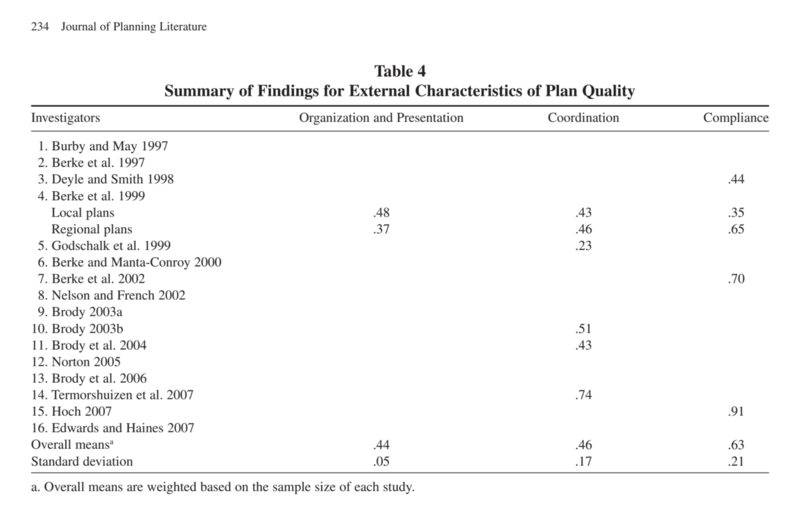 In the paper they studied 16 different regional plans of various cities and rated them on the criteria of issue identification, fact base, public defined goals, policy, internal consistency, implementation, monitoring, communication, coordination with other organizations, and regulation compliance. Their evaluation of these plans shows high scoring with regulation compliance, issue identification, implementation measures, and monitoring indicators. 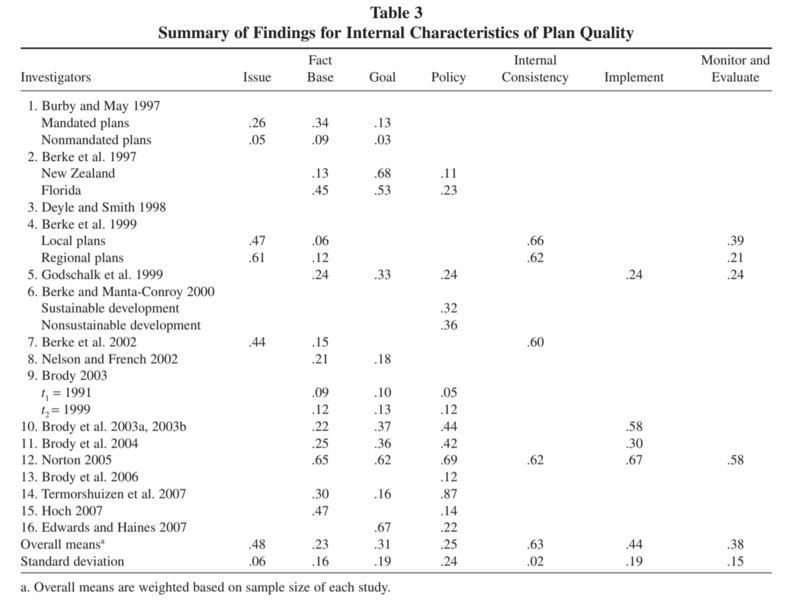 However, many plans scored lower on fact bases, goals, and external communication to audience. Could this reveal an isolated view on city planning and growth that doesn’t take into account a) the collective vision of the population it seeks to serve and/or b) the actual demographic, ecologic, and socio-economic makeup of the region? Do these shortcomings signal the beginning of a process of gentrification and inequitable community development? I think looking at MPO plans with this lens would help provide another picture of the intentions behind bike lane development. This of course isn’t a full picture, as MPOs are also notoriously handcuffed and limited in power. I think that most MPOs, especially of smaller U.S. cities, have the best intentions in transportation planning. But the list of methods required of MPOs to gather priorities from the community don’t always make it into the final suggestions and plans of action. What other players are involved? Posted in 250 Words, Thoughts.